Wisconsin Sports Tap: Are Woodson & Co. for real? Prior to this season, the Packers were a popular pick to represent the NFC in the Super Bowl. When explaining why they could win it all, there were two reasons people would point to: the offense's scoring capabilities and the defensive front seven. 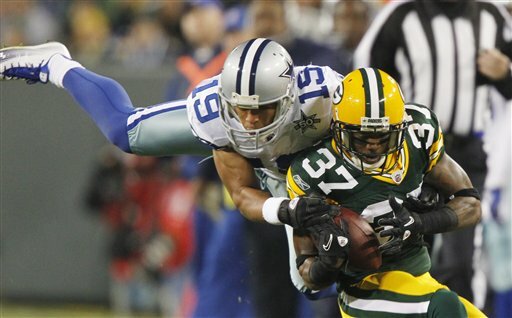 But those who doubted Green Bay's chances pointed to the secondary as the team's fatal flaw. Last year the unit was ravaged by injuries, and even Defensive Player of the Year Charles Woodson couldn't prevent complete meltdowns versus Pittsburgh and Arizona in the playoffs. What will happen when this team meets Tom Brady, and should they make the playoffs, how could the defensive backs hold up against Drew Brees? Charles Woodson: After starting the season a bit slow, some were wondering if age had caught up to Woodson. But he's been all over the field lately, pounding and ripping at the ball, jumping routes, rushing the passer, and playing the run as fiercely as ever. No corner in the NFL is asked to do as much as he does, and because Woodson plays the game like no other, I'm suddenly wondering: has he reached Hall of Fame status yet? No title ring hurts him, but that DPY award is some nice hardware to have in your trophy case, and he's such a unique player that I think I would give him the nod. Tramon Williams: Williams opened the season as the team's most integral player, and he's exceeded expectations. While serving as the team's punt-returner, Williams has very quietly added shut down corner to his resume, and has made several quarterbacks pay for testing him this season with interceptions. His 18 passes defensed is second in the league. Normally a CB performing at his level wouldn't see many passes in his direction, but with Woodson on the other side and him drawing the opposition's top WR on most downs, he'll continue to get chances to build his reputation. Nick Collins: - Collins has had a rough year in the media. His spat with a Bears fan was well publicized, and he also drew some bad press for his helmet-to-helmet tackle of Cowboys receiver Roy Williams. But on the field he's come up with some big plays in the clutch. With the score 28-24 in the 4th quarter of the first Vikings game, he made a spectacular pick of Brett Favre over the top of Percy Harvin. He also recovered the fumble for a TD on the kickoff against Dallas, and came up with a big tackle in the 2nd win over the Vikings to prevent an AP TD, detailed here by Tom Silverstein. And really, considering how often the defense plays in the nickel formation, rookie Sam Shields could be lumped into this group as well. His interception against Dallas was as good a catch as any Packer has made all year on either side of the ball. He's also been matched up with some tough assignments and performed quite well--so well that position coach Joe Whitt has proclaimed Shields will be one of the top CBs in the NFL within 2 years. That's high praise for an undrafted rookie. If you haven't noticed, the passing game has never been more successful in the NFL. For example, a record 13 quarterbacks threw for over 300 yards in week 10, a week in which Aaron Rodgers, Drew Brees and Philip Rivers were on a bye. With 5 games to go, 3 players have surpassed 3,000 yards. And yet, in this pass-happy climate, the Packers have allowed a mere 9 TDs by air, good for 3rd best in the NFL. Quarterbacks have a combined completion percentage of 55.9%, 3rd lowest in the NFL, and a combined rating of 66.5, 2nd lowest in the league by 1/10th of a point. Unfortunately, all this success comes with a big asterisk: the QBs Green Bay has faced this year haven't exactly been top notch. Aside from a partial game against Vick, not a single quarterback they've faced is even rated among the top 15 in the NFL. Last year's meltdowns were against top-tier QBs in Ben Roethlisberger and Kurt Warner, and the secondary really hasn't been tested yet. That ends this week against Matt Ryan. It will be interesting to see how the secondary fares against Ryan and the Falcons, who boast the league's top wideout in Roddy White. If they stand up and perform as well as they have in recent weeks, perhaps beating Tom Brady and his Patriots in week 15 isn't out of the question. And neither is the Super Bowl.